Today marks the thirtieth anniversary of the first airing of the Granada series 'The Adventures of Sherlock Holmes' (as seen in this cutting from TV Times dated 24th April 1984). For people of a certain age (myself included) the Granada series is one that just cannot be bettered. The money spent on the production has ensured that it has aged well where other adaptations (Tom Baker's 'Hound of the Baskervilles' for one) can seem a bit stilted nowadays. The attention to detail and its faithfulness to the original stories (take note Moffat) have earned it the high standing that it so richly deserves. It is however the casting that fascinates me the most. I do not think I have ever seen a programme where an ensemble has fitted together so perfectly. 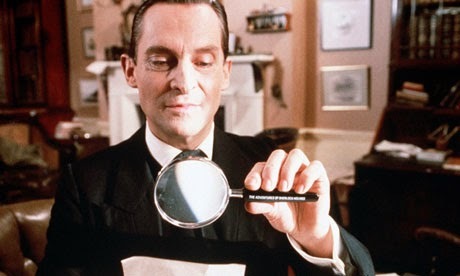 For me Jeremy Brett is the epitome of Sherlock Holmes, with his interpretation of the great detective masterful. 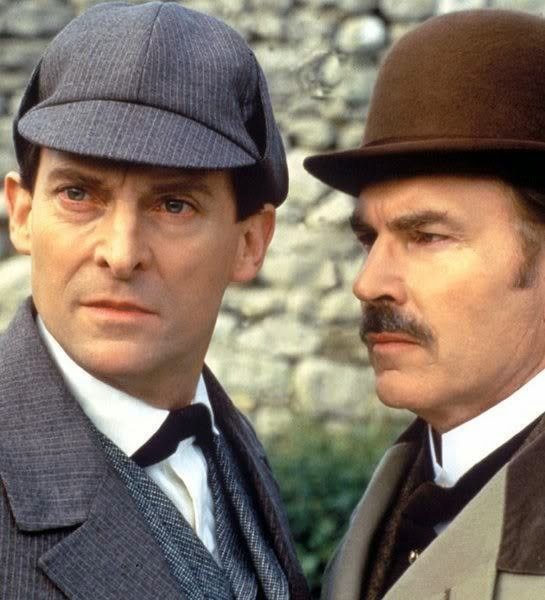 As much as I try to fight it, whenever I write Sherlock Holmes stories it is always Jeremy Brett that I envision in my mind's eye. 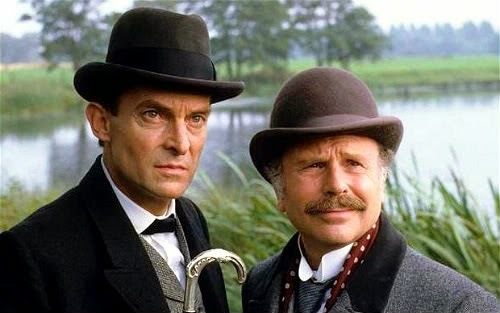 Both David Burke and Edward Hardwicke have a special place in my heart and even after all these years I am torn as to which one I prefer. Whilst their Watson's are different they both gave the part a realness that was sadly lacking in previous adaptations. Modern Watson's owe a great debt to these two. Without them, the rounded character that they now enjoy could be vastly different. 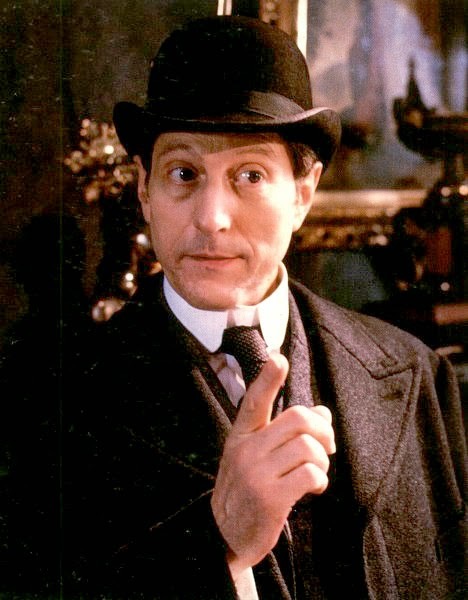 Next we come to my absolute favourite, Colin Jeavons as Inspector Lestrade. People can argue (and they frequently do) about their favourite Holmes, but there can be little doubt that Jeavons' take on Lestrade is faultless. He played the part perfectly, giving the Inspector a real character to him, one that was seldom seen outside of the original stories. Mycroft is a difficult one. 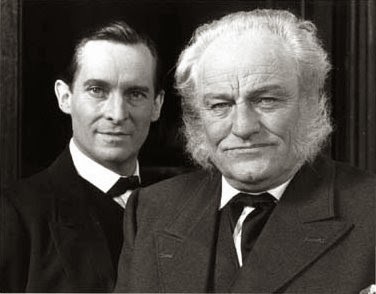 At first glance Charles Gray appears to be too old to be playing Holmes' elder brother, but in truth he was only five years older than Jeremy Brett. A veteran of the silver screen (from Blofeld in 'Diamonds are Forever' to my favourite Hammer Horror film 'The Devil Rides Out'), Gray leant his wealth of experience to the role, and embodied the character for a whole generation. Sadly, out of all these great actors only David Burke and Colin Jeavons are still with us. Thankfully we can pop a disc into our DVD player (or Blu-ray) whenever the whim takes us and enjoy them at their very best.